Three comedy things to do this NYE: Chuckle Bowl Spectacular, We’re pHucked and iO’s Interactive New Year’s Eve. The Lincoln Lodge continues to corner the market on off-kilter New Year’s parties. 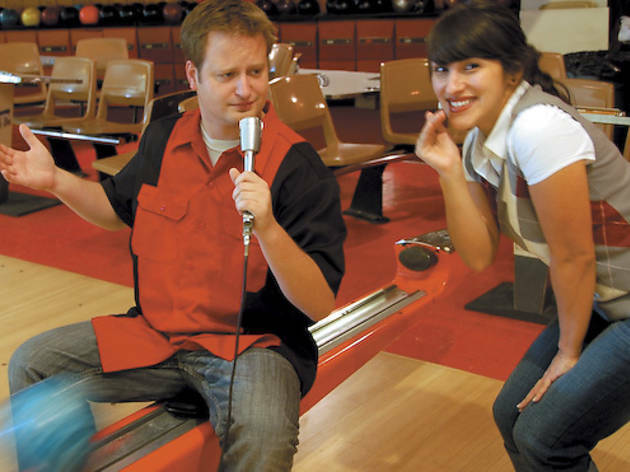 Join comedians Adam Burke, Danny Kallas, Dan Ronan, Junior Stopka and Liza Treyger for a night of jokes, plus 12 lanes of open bowling, music by DJ Bubbles Sanchez and a midnight Miller High Life toast. 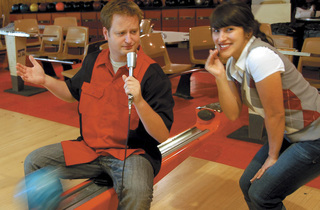 Lincoln Square Lanes, 4874 N Lincoln Ave (773-561-8191). 9pm. $35, in advance $30. iO has a whole smorgasbord of improv-y type things happening, starting with Whirled News Tonight’s Year in Review in the Del Close Theater, followed by the Cupid Players. But it’s downstairs in the Cabaret where we want to join some of its most talented improvisers for interactive games and sets featuring the audience. Yes, the later shows include party favors and a Champagne toast. iO, 3541 N Clark St (773-880-0199). 8, 10:30pm. $25 per show. pH Productions’ “We’re pHucked: Kickass End of the World New Year’s Eve Party” looks the Mayan calendar straight in the eye and says, “pHuck you!” The folks at pHrenzy perform their late-night raunch fest against a backdrop of raffle prizes, endless booze, dancing, games, a Champagne toast and more. Studio BE, 3110 N Sheffield Ave (773-732-5450). 10pm. $40.